As our plane flew through a dusky violet sky and touched down at the Vienna Airport , I quickly sauntered to the baggage carousel to retrieve my luggage so that I could check-in to the hotel, grab dinner, and rest in preparation for nightlife festivities. Besides having booked a room at the Moxy Hotel which was within walking distance of the airport, all activities for the night were going to be improv’d. Within minutes of exiting the airport, I arrived at the Moxy Hotel Vienna which is extremely affordable for the quality. The eccentric, quirky, yet aesthetic hotel provides a surfeit of amenities such as printing, web surfing, hot drinks, board games, a gym, and much more. Keep in mind that Europe, unlike America, charges for almost everything, including public restrooms, napkins, and extra McDonalds sauce so the amenities provided in the hotel are quite rare. Thus, I recommend taking advantage of what is provided and enjoy your time at the relaxing hotel. I paid 95 Euros that night for 2 people, and it included breakfast. I got a good deal through Expedia, so a little bit of planning and the use of booking websites can save tourists plenty of money. Of course, if money is not an issue, then lucky you :). Below are some pics of the Moxy lobby that I absolutely adored. All through the late night, chill music played as friends and families drank, laughed, played card games, or worked on their laptops. The environment was very cordial. 2. Muscatel Grapes: These grapes were crazy expensive. At 7 Euros per pound, they better have curing properties. The small orbs were tinted light green and pink, and they smelled very sweet so I was pretty stoked to try these. And after all, how bad could grapes taste? These grapes were hands down the best grapes I have ever tasted! 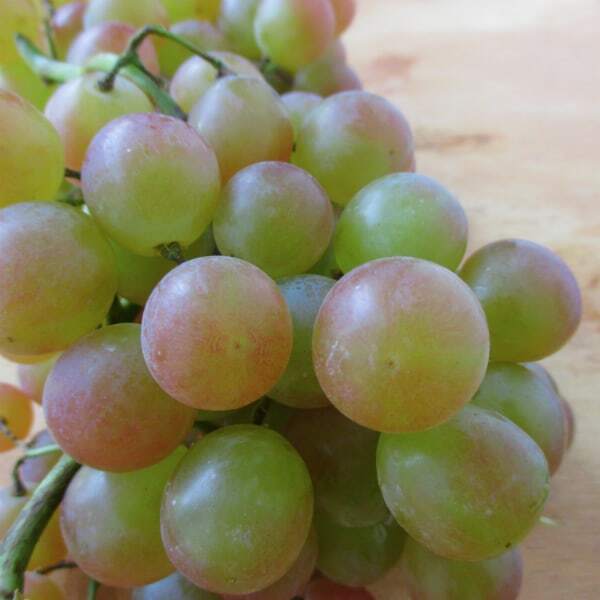 They don’t sell these in the states so I’ve never heard them before but I later realized that Muscat wine is made from these, but the wine doesn’t taste that great… The grapes tasted like lychee Hi-Chew candies. So Sweet, I could’ve sworn I was eating candy! 3. Paprika chips: Never heard of such a flavor before, but I was eager to give it a try. 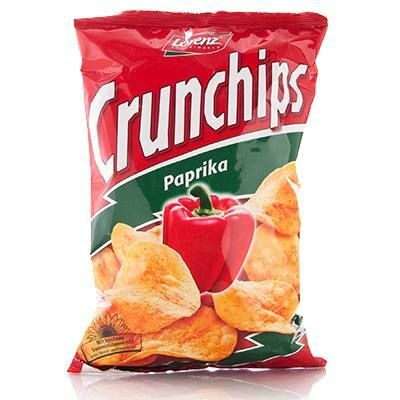 In general, paprika doesn’t have much flavor so I was wondering if the chips would be bland, but they really just tasted like barbeque chips. Nothing special and no surprises so I was a tad disappointed. 5. Currywurst: Who knew such a fusion food existed? I love curry and sausages are a German staple so I knew this was something I needed to taste. The wurst was pretty long and cost 3 Euros. WOWWW!! 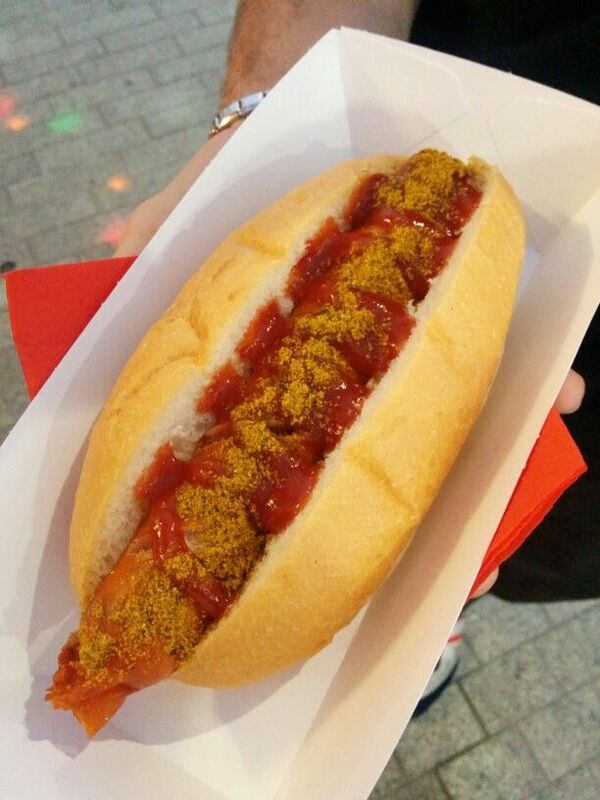 I’m not a huge fan of sausages but this wurst was juicy, yet not too fatty, and the curry-ketchup sauce was so good. I wish I had gotten more sauce but the flavor was so potent that it was enough. Really a big fan of currywurst and I must emulate this sauce recipe at home. This concluded my taste test. I also ate pretzel bun sandwiches and tuna salads, but nothing special there so I did not feel it was necessary to grade them! For the rest of the night, I spent 4 euros and bought a round trip train ticket to the Vienna City Centre. Night life was bustling as people sat at outdoor cafes under sun umbrellas as live music played out loud. I guided myself through the winding cobblestone roads for the city was constructed like a maze with marble and stone buildings in all directions. Even late at night, hordes of people were visiting St. Stephens Cathedral and buying gelato cones and wursts from food stands.